Mason Fine takes on the University of Arkansas Razorbacks in Fayetteville, Arkansas. 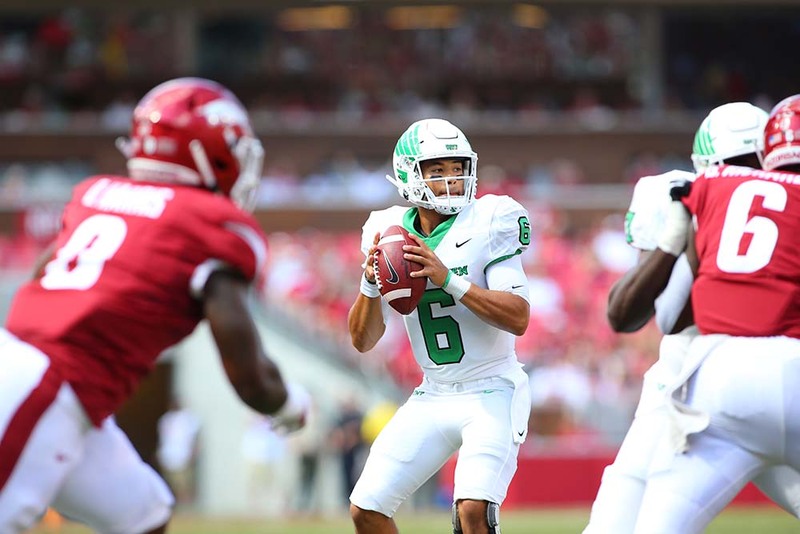 A quarterback from tiny Peggs in Northeastern Oklahoma is a star at the University of North Texas. 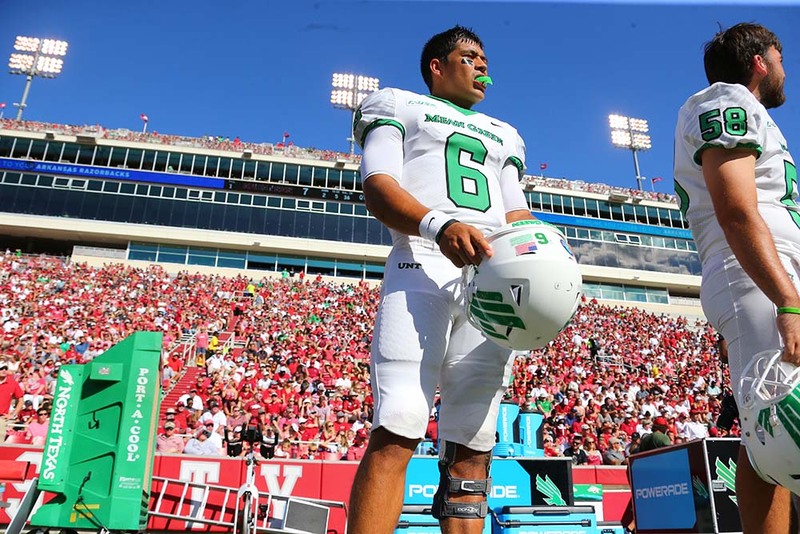 Peggs native and Locust Grove High School graduate Mason Fine, a junior at the University of North Texas, has become one of the most accomplished quarterbacks in Mean Green history. Fine’s strong play has been a big reason why UNT, in its third year with Muskogee native Seth Littrell as head coach, has played in consecutive bowl games. In September, the Eagles upset the University of Arkansas in Fayetteville for their first victory over a team from the powerful Southeastern Conference in 43 years. 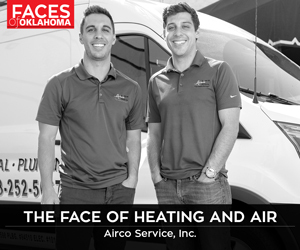 “I have a lot of pride in being an Okie,” Fine says. “Especially when you’re down in Texas, you’ve got to have that kind of pride. Football’s king down here, so I always want to outdo everyone, but I also have hometown pride. In 2016, Fine started nine games and earned selection to Conference USA’s All-Freshman Team. In 2017, he took that success to another level by helping UNT win the C-USA West title and being named the conference’s top offensive player. Fine’s development has been great for Mean Green fans, but no one takes more pride in his progress than Littrell. Fine recalls the summer after his freshman year when his dad ran into Littrell at a grocery store near Tahlequah. Fine says his Northeastern Oklahoma roots are testament to how he plays for the Denton school, an hour south of the Red River. Fine wants more successes, both for himself and his teammates.